Breathtaking sights, salty sea air, and decadent dining; Barcelona is an exotic paradise for so many reasons. With all the city’s many unique attractions, you’ll see, hear, taste, and smell things you never even dreamed existed! The dining in Barcelona is especially amazing; good food surrounded by picturesque scenery is hard to beat! This city contains thousands of places to eat, with each and every one serving their own incredible dishes and treats. The abundance of restaurants here might feel overwhelming to a newcomer, however, so we’ve narrowed down a few of our favorites to help with your vacation itinerary! Discover some of the best restaurants in Barcelona, Spain, to enjoy a meal that you won’t soon forget. Located close by to the picturesque Plaça de la Vila de Gracia, this is a great spot for some fresh, authentic seafood! Each dish served at Botafumeiro is carefully prepared to ensure that the flavors are genuine and satisfying. From lobster to calamari, these exquisite menu items are bound to fulfill even the most ravenous appetite! Don’t forget to save room for dessert; this fantastic restaurant is known for their sweet treats! Both visitors and locals alike rave about this one-of-a-kind hotspot due to its distinctive dishes and quirky atmosphere. Uma is constantly drawing countless, curious individuals who are dying to try their beautifully crafted and utterly delectable foods. These chefs’ passion for the art of food can be clearly seen through their creative and imaginative dishes with an astonishingly alluring presentation. Ever wanted to dine right beside the bright blue waters of the Mediterranean? You can at Salamanca Restaurant in Barcelona! Not only do they have a picturesque backdrop for enjoying a great meal, but they also serve the best paella in Barcelona, a traditional dish that includes an abundance of seafood atop a delicious pile of rice. Tapas is a dish native to the Catalan people; smaller portions of bite-size foods means you can try a wide variety of different dishes, all within one meal! Alta Taberna Paco Meralgo makes some of the finest tapas in all of Barcelona, served within a warm, welcoming environment. Indulge yourself in some heavenly dessert while you’re here as well; their menu includes a long list of sweets, from frozen chocolate truffles to cream-filled pastries. For a great place to eat that also offers a thriving nightlife, visit The Box Barcelona! Try Latin-influenced foods and drinks, then dance the night away in this energy-filled destination! Complete your dream vacation to Barcelona by staying in the best accommodations possible! bizFlats Vacation Rentals provides visitors with luxurious places to stay; each of these many apartments, villas, lofts, and penthouses are equipped with comfortable furnishings and amazing amenities. Don’t miss out on experiencing the best trip of a lifetime; check our availability and book your stay today! Barcelona is a beloved vacation destination for many reasons. With a rich history, gorgeous views, and one-of-kind traditions, this vibrant city is definitely a must-see on anyone’s bucket list. While you’re exploring the manythings to do in Barcelona, be sure to enjoy this city’s dining at its finest. Salamanca Restaurant in Barcelona is, without a doubt, one of the best places to eat here; it provides classic Catalan food in an unparalleled atmosphere to give guests a genuine taste of the area. Discover why you need to eat here and start making plans to drop by! 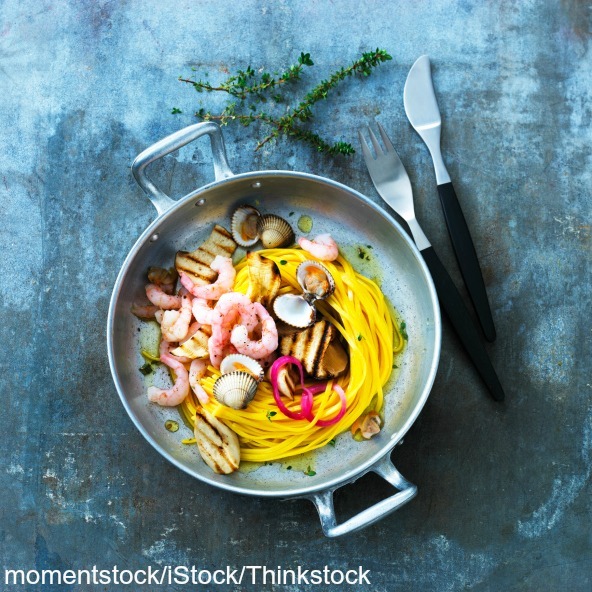 Spain can be credited for introducing a wide variety of unique and delectable dishes to the world. 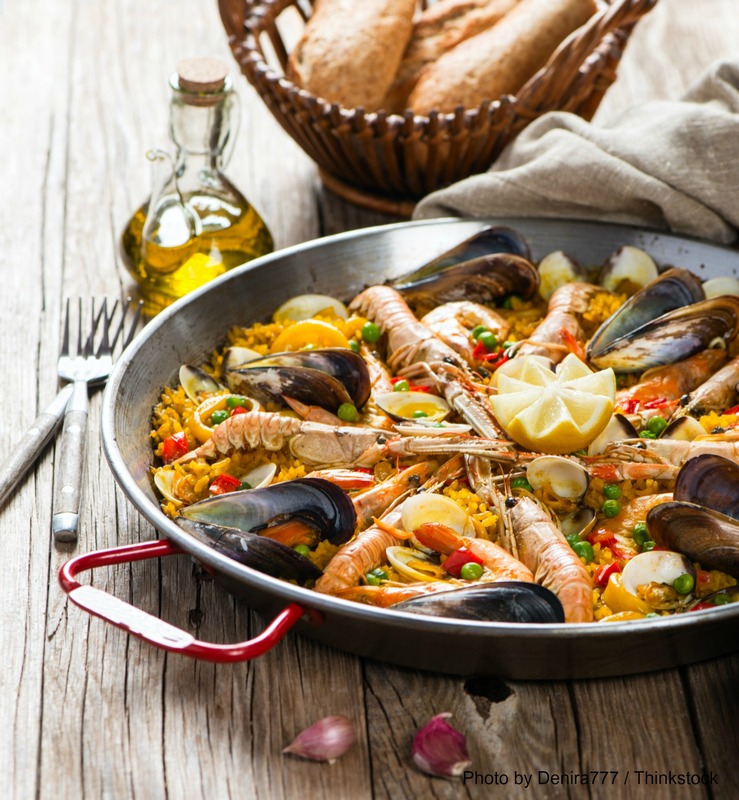 One of the most iconic meals that originated in this country is called paella, which consists of an enormous pan filled with rice and topped with a myriad of savory seafood. Although this dish has been modified by many other restaurants in Spain (and all over the world), Restaurante Salamanca is widely known to have the best paella in Barcelona; both locals and visitors alike come from all around to enjoy and share this traditional meal together. In addition to paella, Salamanca Restaurant also serves countless other tasty treats, such as octopus, calamari, tapas, and decadent desserts! What could be more splendid than eating an amazing meal while watching the waves of the Mediterranean crash along the beach? Restaurante Salamanca is not only famous for its authentic food, but also its excellent location. You can enjoy your food while seated on a sunny patio, admiring fantastic views of the sandy beaches of Barcelona and all of their numerous attractions. If you don’t care for outdoor seating, you can choose to dine inside their formal indoor parlor, furnished with beautiful decor that reflects the colorful culture of Barcelona. Customer service is always key when it comes to the food industry! The staff at the Salamanca Restaurant in Barcelona is always warm and friendly to all of their guests; they attend your every need and request in order for you to have the best dining experience ever. Many people who come to this spot are visitors and need help translating the menu or understanding what a certain dish is, but the many kind waiters and waitresses at this restaurant are more than happy to answer any and all questions their guests may have. You’re bound to have an unforgettable meal when you dine at the Restaurante Barcelona, so make sure you add this to your vacation itinerary! A getaway to Barcelona is truly an adventure you’ll always cherish for years to come! Make your trip to Spain even more memorable by staying in the best possible lodging while you’re here. bizFlats Vacation Rentals provides all of our guests with the finest apartments, lofts, penthouses, and villas in Barcelona. Each of our luxurious rental homes is equipped with comfortable furnishings and amazing amenities to create a completely relaxing environment. Located throughout the most gorgeous areas of the city, our rentals are the perfect solution if you’re wondering where to stay in Barcelona. Don’t wait another minute; check our availability and book your stay today!